Illinois is joining the majority of states that have included lien bonds in their construction laws by enacting House Bill 2635. The new law allows a lien bond to be used as a substitute for a real estate property that is under a lien claim. The House Bill, which was signed by Illinois Governor Bruce Rauner in July 2015, will take effect on January 1, 2016. It introduces changes to the Mechanics Lien Act in the state. In essence, the lien bond is used as a guarantee that contractors, subcontractors, and suppliers involved in the improvement of personal or real property will receive their due payments for their labor or supplies. Let’s take a look who is affected by the new surety bond requirement, the purpose of lien bonds, and how lien bond petitions work. In most cases, subcontractors and material suppliers are the ones typically involved in construction improvements on personal or real property. If they end up in a disagreement over payments with a project owner, they can file a lien on the owner’s property. The new bill introduces the option for an Illinois project owner to use a lien bond as a substitute for the real property under a lien. In this way, owners retain their rights on the property, while the subcontractors or suppliers are guaranteed to receive their due payments together with interest and attorney’s fees. Affected subcontractors or suppliers can demand that a lien release bond is put in place. Alternatively, the project owner can petition that the surety bond is used, instead of surrendering the ownership of the property in a lien claim. A mechanics lien bond is used in disputes between subcontractors or suppliers and project owners over payments for contractor services or materials. The claimant, in this case the subcontractor or supplier, can file a lien on the owner’s property. This means that the construction specialist aims to gain ownership on the property, in order to foreclose it and thus ensure the compensation of the due payment that the owner has not made. In this situation, owners can submit a petition to use a Mechanics Lien Release Surety Bond, instead of giving up the rights on the property. They can do so within five months from the filing of a mechanics lien claim. The lien bond needs to represent 175% of the lien amount. If the affected subcontractor or supplier does not object, and the lien bond meets the set requirements, the circuit court of the county where the property is located will allow the bond to substitute the property. Lien bonds give property owners the opportunity to dissolve mechanics liens, so they retain the control over their property, and avoid foreclosure and sale. It also provides a mechanism for the claimant to full financial reimbursement for all due payments and additional expenses. In order for a court to agree to substitute a property with a lien bond, the bond must meet certain criteria. It has to be issued by a surety provider which is A-rated and allowed to execute surety bonds. The project owner who wants to substitute real property with a lien bond in a lien claim needs to send the petition to the circuit court within five months from the filing of the lien. He or she needs to submit detailed information about the claim and the bond, as well as about the parties in the case. The claimant can object within 30 days, which means the case is then moved to court. If not, the property is substituted with a lien bond. By introducing the new bill into its construction laws, Illinois joins the majority of states across the country that allow substituting a real property with a lien bond as security. 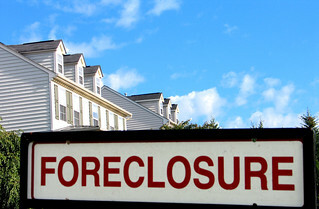 The new legislation was prepared in collaboration with contractors’ advocates and aims to solve lengthy foreclosure delays when mechanic lienors do not allow foreclosure sales until liens are settled. This is the first time Illinois allows “bonding off” of mechanic liens, a solution that addresses the problematic delays affecting even owners with title insurance. If you still have any questions about the new lien bond requirement in Illinois, we’d be happy to help. Just contact us to get the information you need.